There lived a superstar who created a whirlpool of his own stardom. His fans were sucked into it with every blockbuster he released year after year, as they cherished his mannerisms, dialogue delivery, style and held unflinching faith in him and his brand of cinema. Oh did I forget to mention, film after film, he repeated himself, quite like history. And one day, when nothing was left to be conquered, the whirlpool of his superstardom sucked the star himself into it. He remained there until another vehicle came to save him out of it. That’s the curse of a superstar – to be perished by the very factors that made him. This could be the story of any superstar. Rajesh Khanna, the king of romance, was sucked into the whirlpool he had himself created. Amitabh Bachchan created it with the persona of an ‘Angry Young Man’ and became its own victim when his films petered out of the box office (looking back you wonder how on earth did the man who signed Sholay and Deewar even agree to do Ajooba and Jadugar). While Rajesh Khanna couldn’t ever rise out of it, Amitabh Bachchan took a long break until he got a new launch vehicle in Kaun Banega Crorepati. Down south, stars who became demi-gods, like MGR and NTR, blurred the differences between their on-screen and off-screen persona to such an extent that people didn’t know when the actors capitalised on their success and shifted this whirlpool from the sea of cinema to politics. I have already seen Pa Ranjith’s Kabali twice and I know of people who have seen it more number of times. For those who have seen Rajini’s rich gamut of work prior to him having reached the dizzying heights of superstardom, Kabali will be welcomed like a long lost friend. For with Kabali, Rajini has proven that in a bid to become India’s biggest superstar, he didn’t let go of the wonderful actor in him. When I excitedly shared this fact with a friend, he said, “You don’t need Rajini for acting. For that, we have Kamal. Rajini has to entertain us.” Perhaps, the world of cinema has its own Lakshman rekhas. You can step out of it and experience freedom but can’t return inside the rekha. Similarly, you can become a superstar after having been an actor but the superstar cannot suddenly decide to play non-conformist roles to be an actor again. In short, the fans might not like to see Rajini, as the sadist we saw in Avargal or the the pornographer who filmed his wife every night in Gayathri. One reason fans do not allow the superstars to move on is that it also means an era in our own lives has come to an end. The day Shahrukh Khan stops romancing 20-something girls, you know that you have also grown older than what you think you are. You can no longer see something you have grown up with and letting go of comfortable experiences is not an easy job. The fans of Rajini wouldn’t want to let go of the superstar they have grown up with. 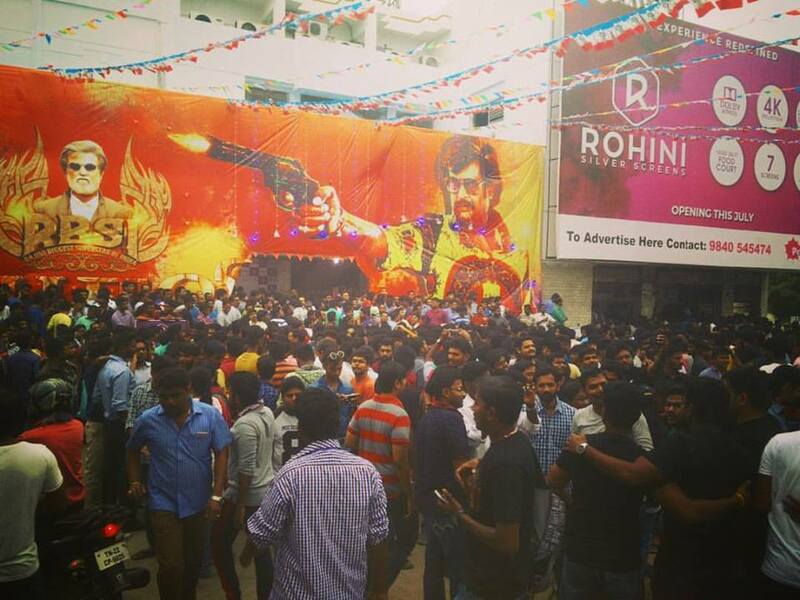 I have heard several negative views about Kabali, especially from the film critics who have lampooned Ranjith for having soiled the reputation of the superstar. For me personally, the biggest grouse was the absence of a strong antagonist (for that matter the last antagonist who could match Rajini’s charisma was Neelambari in Padayappa). The script could have had more to it. But the issue here is something else. One reviewer went on to say that “Rajini does not need Kabali. Ranjith needs it.” I think there hasn’t been a worse understanding of the situation. Right from the beginning, it was made clear that it is going to be a Ranjith film. The fact remains that Rajini needed a film like Kabali to get out of his own whirlpool and take that much needed leap into that space of filmdom that befits his stature, age and charisma. If Kabali is that delivery vehicle, it might not have exactly helped him cover the desired distance with the leap. But if the film succeeds, Rajini can definitely claim to have escaped the curse of superstardom. On the other hand, if Rajini’s fans disappoint at the box office, Rajini will become a prisoner of his superstardom. In a bid to please his critics, if he further attempts to repeat his acts of the 1990s, he will become a pale shadow, a caricature of his former self. We saw a glimpse of that in Lingaa. Kabali could very well be the most well-calculated decision taken by the biggest superstar in India to break through the shackles of stardom. It is now up to the fans to make it possible. Rajini has done his bit to evolve and has scored full marks in it. In one famous dialogue, Kabali announces his return after 25 years. Rajini’s Thalapathy was a Diwali blockbuster of 1991. Someone who was born then would have turned 25 today. And yet, we want Rajini to be stuck in time. It is asking for the impossible. On another note, Thalapathy was also the last outing where Rajini showcased the intense actor in him. He’s back after 25 years and a true fan needs to celebrate that. Hey thanks. Do we know each other?